Recovery Company in Birmingham and get cleaned up FAST! If you’ve recently discovered mold in your property, it is very important that you call the professionals at Service Restoration of Alabama to safely and effectively rid your home of the fungus. We are the mold removal and remediation experts, and have been removing mold from properties for years. Over the years we have perfected the craft of masterfully removing mold from homes and businesses alike, no job is too big or too small for us to tackle! Because customer service is our number one goal, we are available 24 hours a day for your convenience. We are fully licensed, bonded and insured in mold removal, and employ the industry’s best and brightest technicians. We also use the latest equipment in the mold remediation business, which guarantees that we will get the best result every time. Once you have discovered mold in your home you may be frustrated and embarrassed, but you shouldn’t be. Mold is normal in your home in tiny amounts. When it can be visibly seen by the naked eye is when it becomes an issue, and can be hazardous to your health. It is very important to act quickly after finding mold in your home, because it can also affect the structural integrity of your property. It can eat away at porous surfaces such as wood and drywall, and it spreads very quickly. Here at Service Restoration of Alabama, we know that containment is the first step to a successful remediation. Many people try to tackle the mold themselves with bleach or other household cleaners – do not do that! It will save you time and money in the long run to call the professionals. It needs to be inspected by trained and certified professionals, or else you could likely spread the infestation without knowingly doing so. Mold is typically caused by a plumbing leak, too humid environment, or a flood that was not properly taken care of. Our mold removal process consists of a very strict protocol that we take seriously. We first find out the cause of the mold, the scope of the infestation, the type of strain, and then what is all affected by the mold. Once we have done all of the above, we will go over the cost and the plan, and once you have given us the green light we will begin the process. We are very transparent, and want you to feel involved throughout this whole situation. 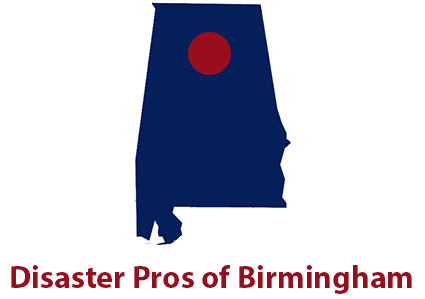 Service Restoration of Alabama employs compassionate individuals who understand what you are going through, and will try to help to the best of their ability. We keep you updated throughout the complete process – and can answer any questions and concerns you may have.